Great news from the world of Wreck It Ralph! Disney is having a contest on Facebook and the Grand Prize is a trip from Adventures by Disney! Once you choose your avatar you can complete missions for more entries. And as a little treat, here is the latest clip from Wreck It Ralph featuring one of my favorites, Jane Lynch. 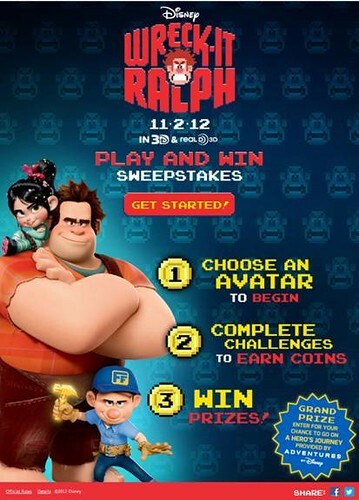 Wreck It Ralph opens nationwide November 2nd.